Join us for our monthly "Second Sunday" Interfaith Service of Solidarity at the Federal Correctional Institution in Sheridan, OR, where 121 immigrants and asylum-seekers are being unjustly and inhumanely detained by Immigration and Customs Enforcement. 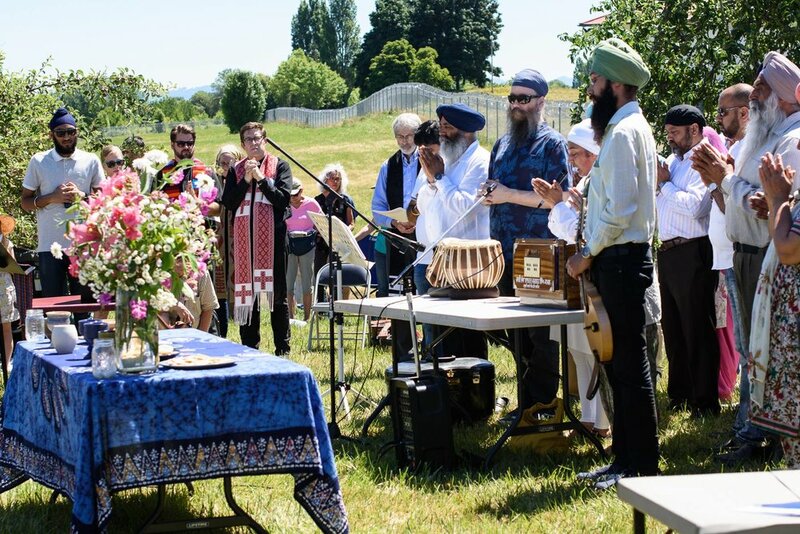 Organized by local clergy of Yamhill County and leaders from the Sikh communities of Oregon and SW Washington, in partnership with the Interfaith Movement for Immigrant Justice. LOCATION: Sheridan South Side Park (Fishing Pond) - Exit 33 off Hwy 18. PARKING: There is limited parking at the Sheridan South Side Fishing Pond Park, which will be reserved for those with limited mobility. If you are able to walk a 1/2 mile or so, please park at the Sheridan high school or on the surrounding streets near the school: (https://goo.gl/maps/7cCY9yNzwv82). We will also have a shuttle service available to help transport people between the high school and the fishing pond park as needed. Look for volunteers and signs directing to parking once you get off the Hwy 18 (exit 33). BRING: A water bottle, a hat/sunglasses/umbrella, and a blanket or lawn chairs to sit in.